Elbow osteoarthritis occurs when the elbow's cartilage surface is damaged or worn out. This may result from an elbow fracture or dislocation. However, the condition is common in the elderly. At Balanced Health Medical, we treat elbow osteoarthritis patients in east and west New York, NY 10022 US. Some elbow arthritis patients in Manhattan sustained elbow injuries in the past. The involved an elbow dislocation or the joint's surface. Often, you are likely to contract arthritis if you require surgery to reconstruct an elbow joint, if there is a joint cartilage loss or if your joint surface is destroyed. Tear and wear in joints lead to extensive damage to the bones' protective cartilage. They start grinding against each other resulting in inflammation, deformation, and pain. Unlike other joints, osteoarthritis is less common in elbows as they have strong ligaments which support the joint therefore enabling it to withstand damage and blows. Some east Manhattan patients do not sustain any elbow injuries. Work or sports can cause osteoarthritis if you strain your elbow thereby destabilizing your ligaments. In such a scenario, surgical reconstruction is necessary. It is advisable to visit a Rockefeller Centre when you sustain an elbow injury for a chiropractor NYC to assess and treat it. Nonsurgical treatment: A Midtown chiropractor offers chiropractic therapy to alleviate pain. They may administer corticosteroid injections to treat arthritis symptoms. The doctor can inject specific substances into your elbow to improve the synovial fluid's quality. Surgical treatment: Surgery is essential when there is extensive damage on joint surfaces. Arthroscopy offers an invasive therapy if you have severe bone spurs. It improves function and mobility by removing loose cartilage. 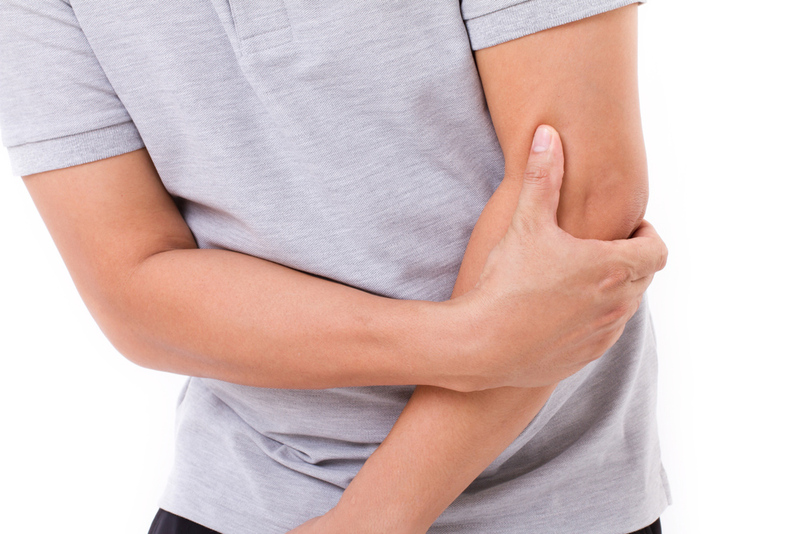 How Can Chiropractic Care Help in Treating Elbow Osteoarthritis? Degeneration in joints occurs gradually. Often, it is difficult to detect it in its early stages. Reduced mobility in an elbow causes severe pain. Initially, it dissipates after a while before occurring again. If it affects the spine, the constant nerve irritation may cause stenosis and numbness in your legs. Doctors treat most symptoms of elbow arthritis using non-steroidal anti-inflammatory drugs (NSAIDs). Nevertheless, they rarely stop the disease from progressing. Chiropractic care is a more effective treatment option. A chiropractor Midtown can offer regular treatment to prevent the disease from developing. Although it is impossible to reverse degeneration in joints, the chiropractor can improve muscle and joint function. Are you suffering from elbow osteoarthritis? The Balanced Health Medical is a reputable chiropractic care facility serving Midtown, Manhattan, NYC, and Rockefeller Center. We have friendly employees that address our client's concerns. Call us at (212)-755-1717 to schedule an appointment.